A new tourist attraction has been recently suggested launching for a short time, but it has left strong impression in a lot of tourists’ eyes when they visit and resort here. 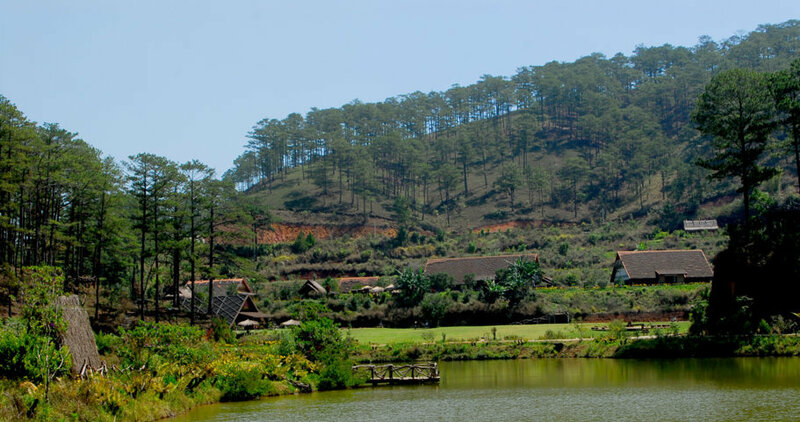 That is Cu Lan village Dalat, a rustic name but contains the beauty of forests, mountains, rivers, lakes as well as small animals. Cu Lan village is located in the middle of the wild mountains and forests. It is about 25km away from city Center. Visitors can reach it by following in direction to Gold stream, Silver stream. Going through Gold valley, tourists will see a small village with eye - catching and beautiful landscapes. 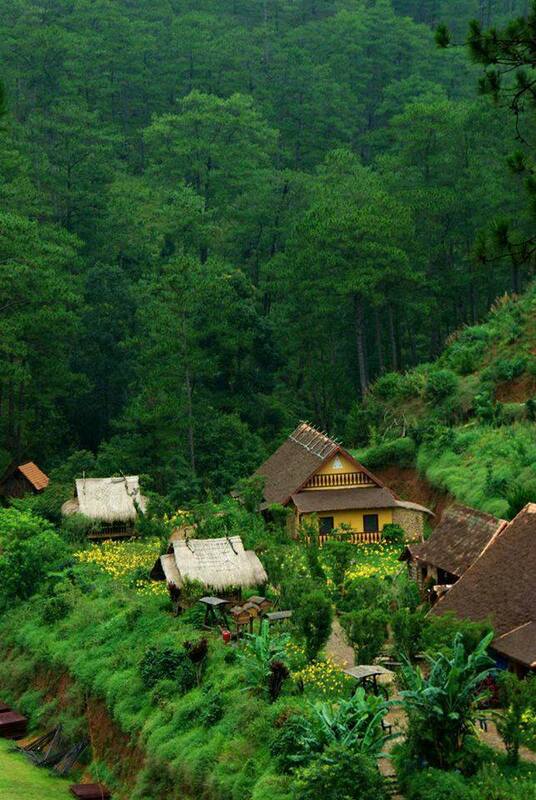 Moreover, the village is a romantic place because it is surrounded by thousands of hectares of a primeval wild forest. The village has an area of approximately 30 hectares and existed for a long period of time in 1960s of 20th century. Native ethnic people living here are mostly K’ho ethnic group whose life bases on hunting and farming. Thanks to nature’s favor, the local residents often exploit a kind of tree of high economic value which is called Cu Lan trees. They use these trees for creating the shapes of sloths to sell to travelers. Cu Lan (sloths), a kind of gentle animal with nice and lovely eyes. They are mainly active at night when everything around becomes quiet and peaceful. Feeling dangerous, they are so kind that they just roll themselves and use their hands to cover their eyes. However, nowadays Sloths listed as a rare species in Red Book is in danger of extinction, so the local government are making plans to protect this gentle species of animal. Furthermore, it has invested more other interesting services: sailing boats, driving jeeps, etc., which brings great experience to visitors from everywhere. Although officially welcoming visitors in 2011, the village has pleased visitors. 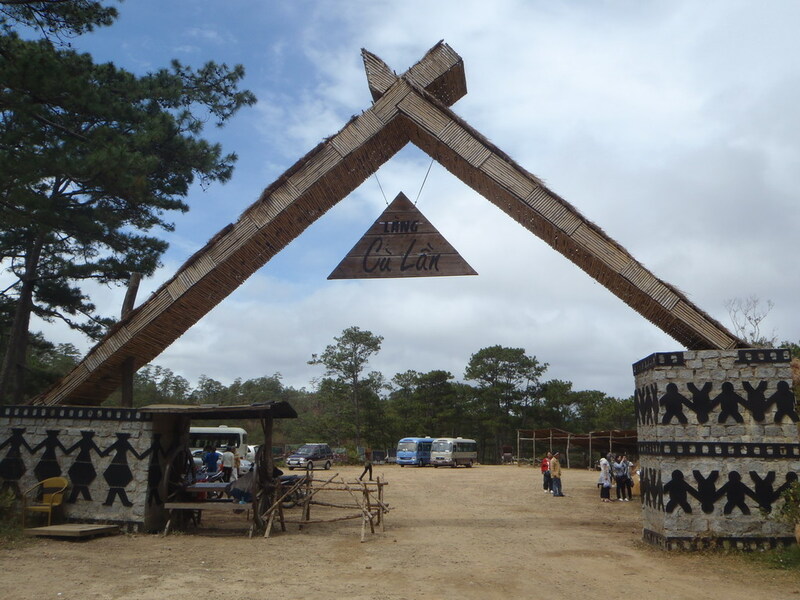 It has contributed to enrich Dalat tourism as well as to change aspect of Tourism industry of Lam Dong province in particular and our country in general.